In 2006, the World Service Conference approved the adoption of the “Public Relations Handbook” authored by the World Board of Narcotics Anonymous. This service handbook replaces “A Guide to Public Information”, last revised in 1993. This service handbook release marks the beginning of a new direction in our Fellowship’s relationship with society. The evolution of our fellowship as a viable answer to the addict that stills suffers is dependent on our relations with government agencies, non-government organizations and the public at large. You may say to yourself, “isn’t that what we do now?”. This “new” direction is about focusing on our relationships rather than just simply conveying information. This is an evolution, or perhaps we can say a revolution, in how we view those who can further our primary purpose. 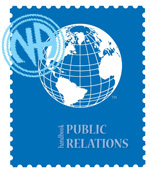 In addition to the service implications of public relations, the PR Handbook dwells more than ever before into the responsibility of all members of NA, as individuals, groups and service committees, to maintain good relationships with the public. From the NA member at a meeting to the NA members at a convention, all share in supporting a positive image of NA as a whole. The PR Handbook is now available from the NAWS website (Public Relations page) for free as a download or you can go to the “Online Literature Sales” section to access their sales site and look for “Service Handbooks” to purchase a hard copy.